iFly is extremely simple to use. 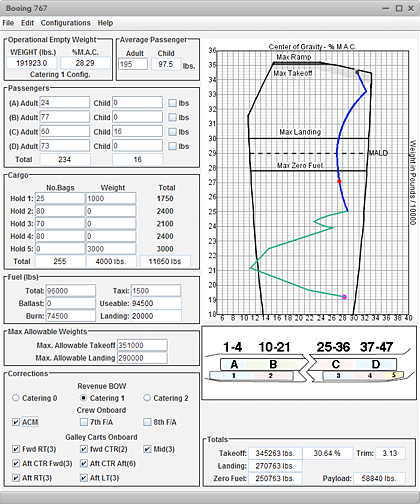 American Aeronautics presets the starting weight and cg for you. This way you are guaranteed to have the correct starting point every time you use iFly. All you have to do is add your passengers, baggage, takeoff fuel, and landing fuel. If you are out of limits, just adjust the various weights until you are within limits. It’s that easy! You will never worry about being out of limits again. 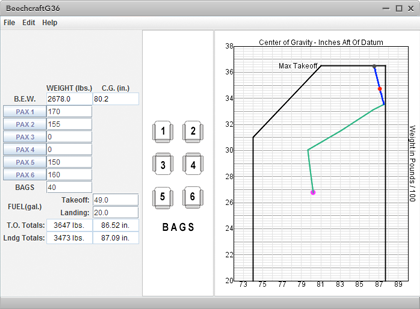 When you receive your iFly weight and balance software there is nothing for you to do but load your aircraft. The software is your actual aircraft. There are no cg limits to program, no fuel moment data to enter. 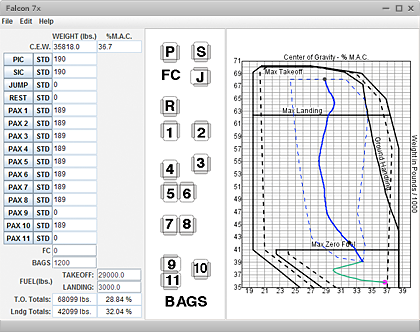 American Aeronautics customizes the software to your exact aircraft specifications. All violations are shown visually. Are you too far forward? The forward cg limit will turn red. 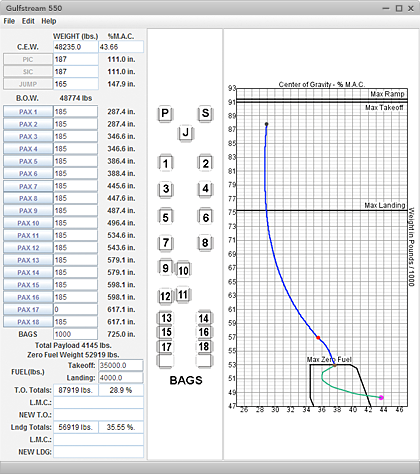 Are you over maximum landing weight? 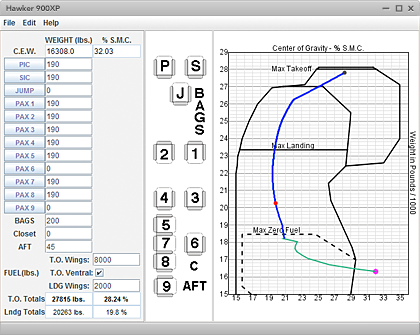 The maximum landing weight limit will turn red. Simply adjust your load until the limits are black. Many aircraft have complex fuel burn sequences. 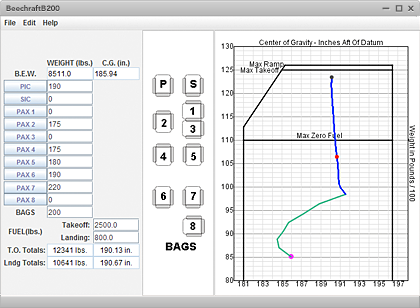 The iFly software depicts the exact fuel burn sequence of your aircraft. The software is licensed to you and your aircraft serial number. You can install it on as many computers as you like. There is no limit.